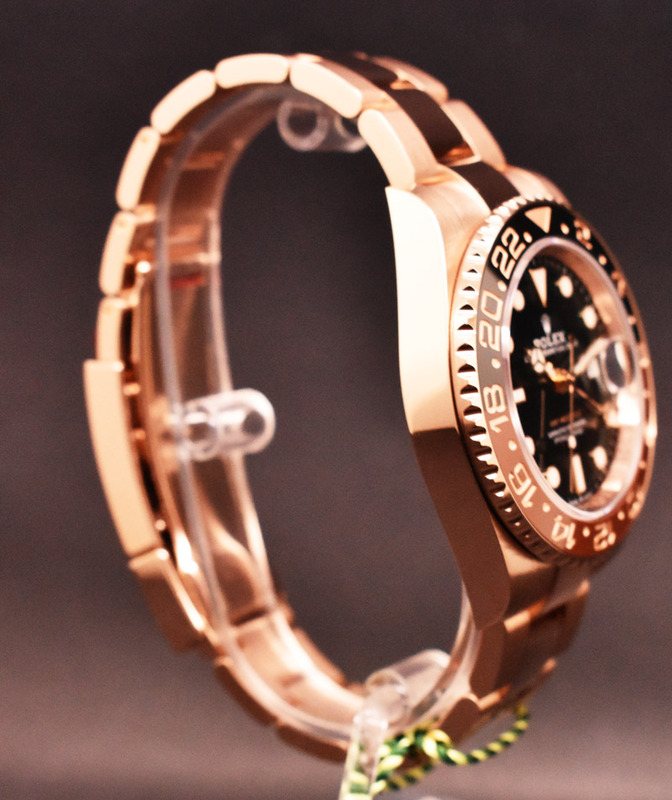 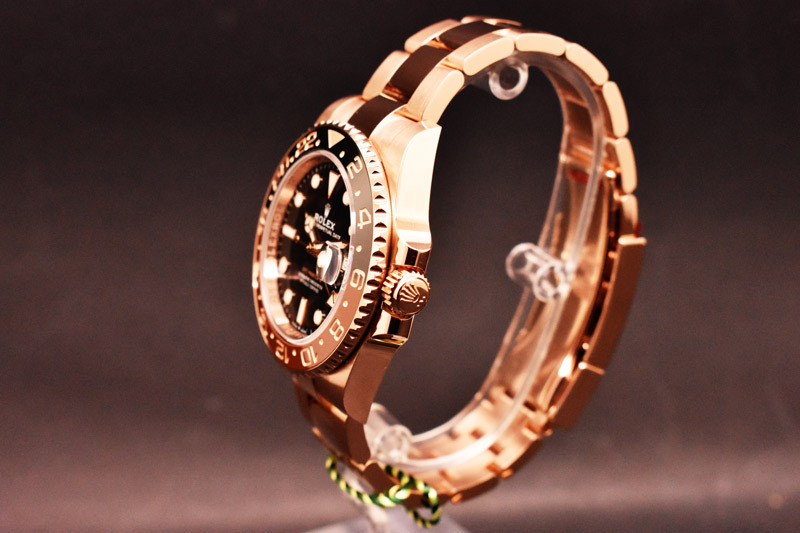 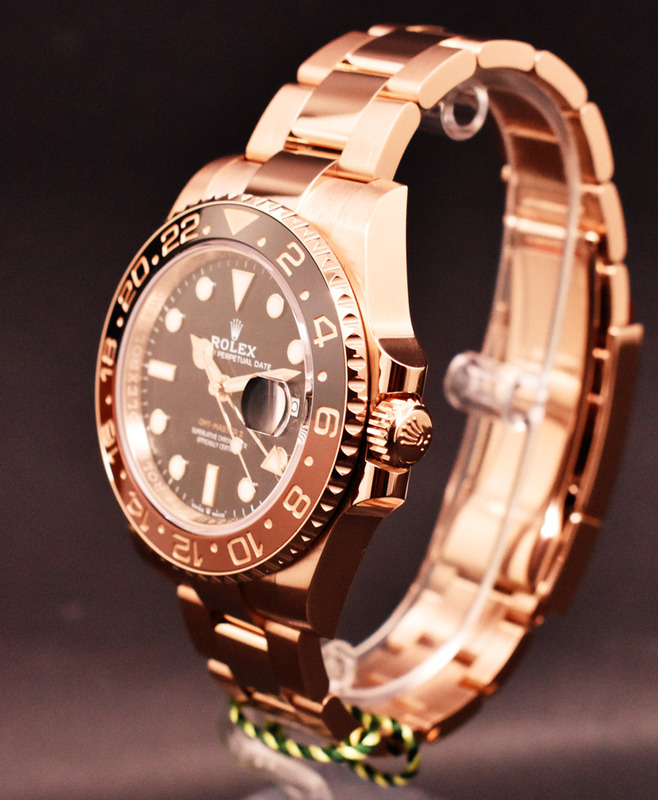 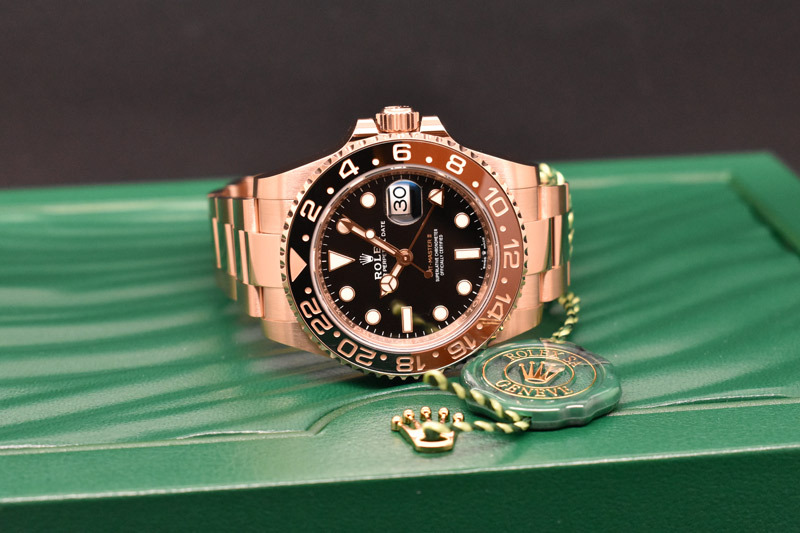 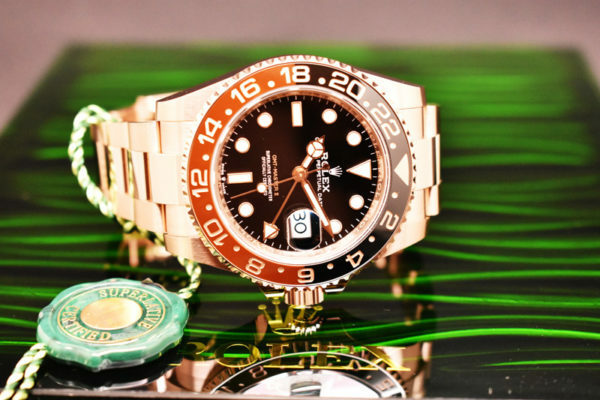 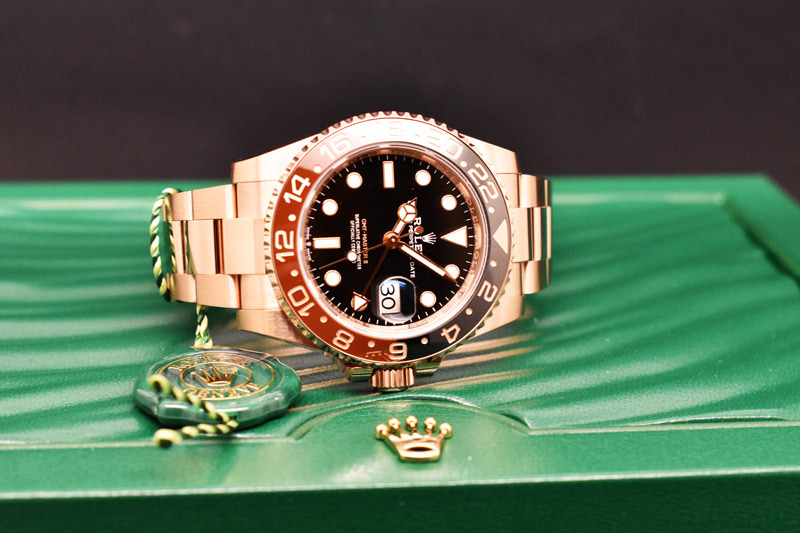 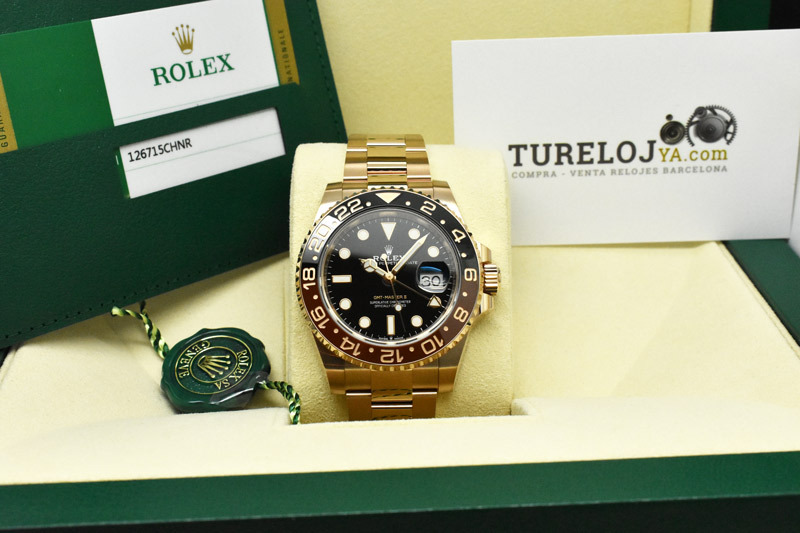 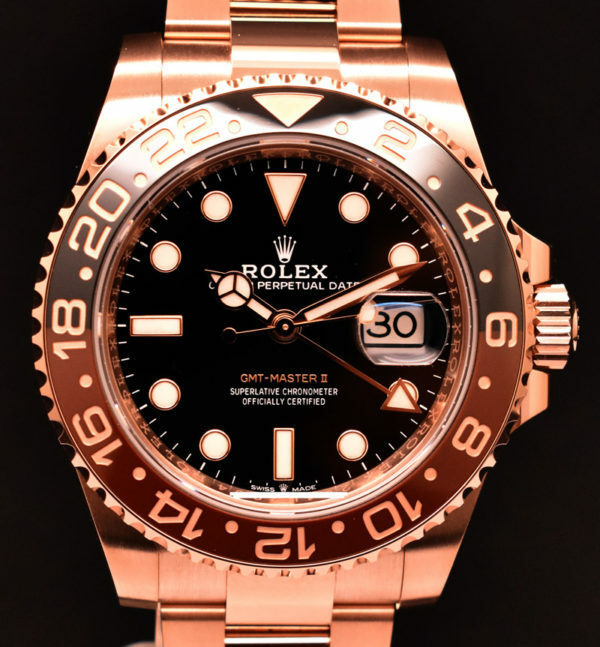 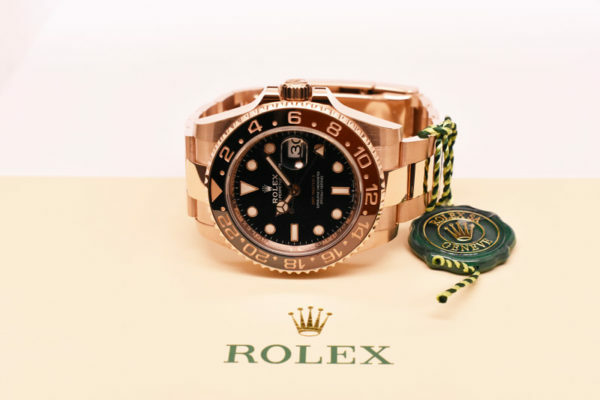 Rolex GMT MASTER II Everose Root Beer "New" - Turelojya.com | compraventa de relojes Barcelona. Reference 126715CHNR, 40 mm rose gold case, black dial, two-tone red and black ceramic bezel, pink gold ary oyster. 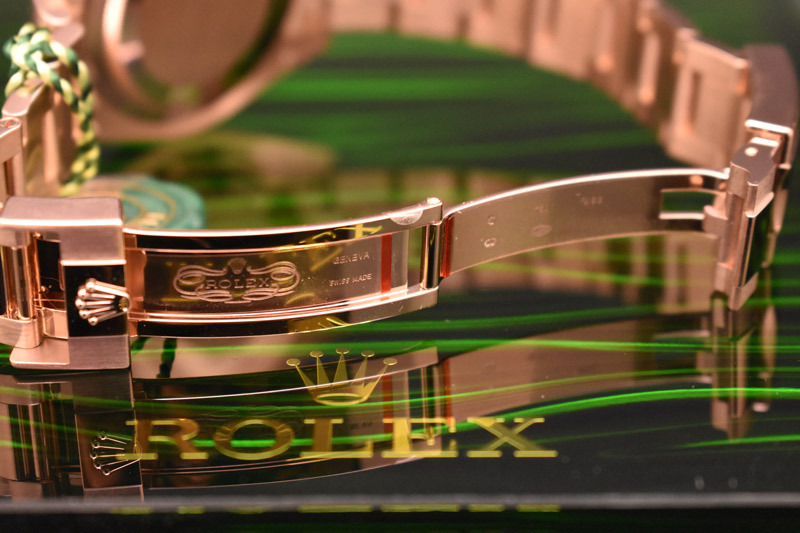 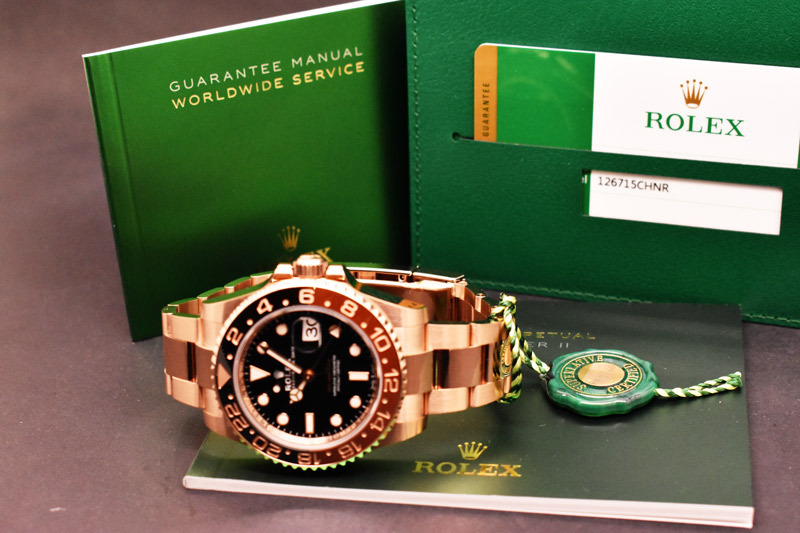 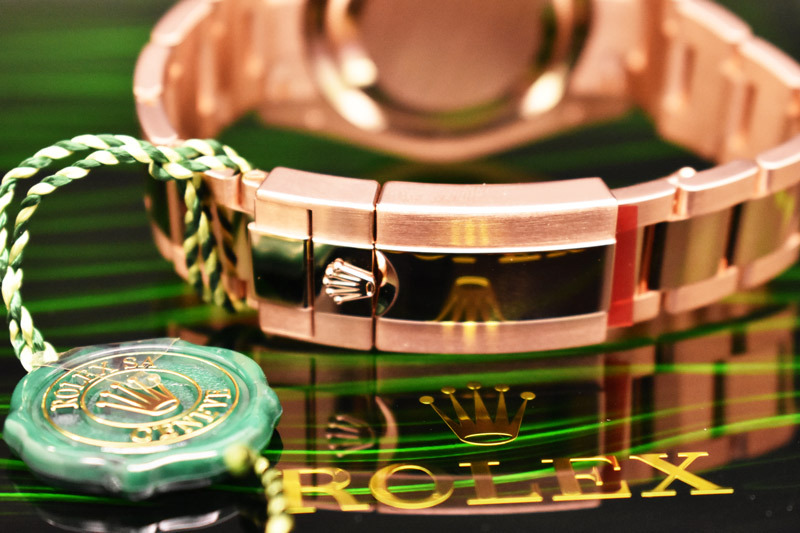 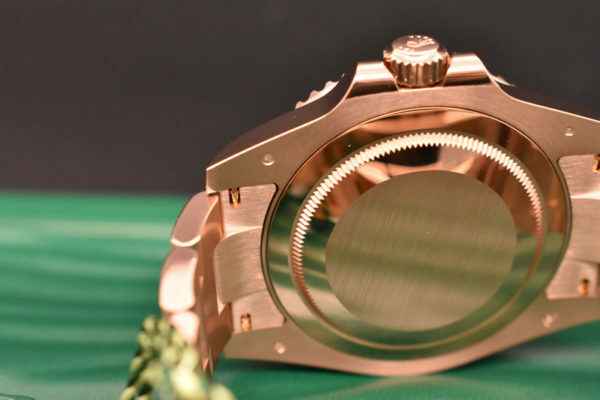 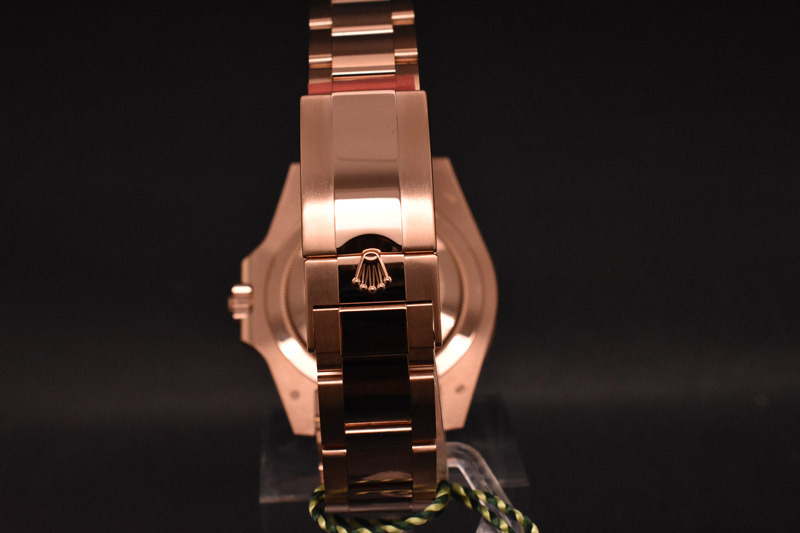 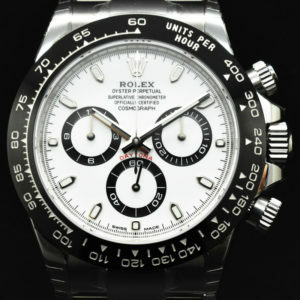 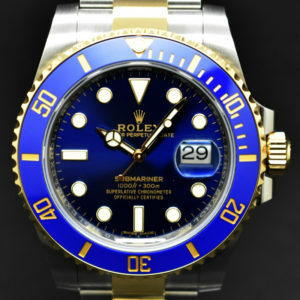 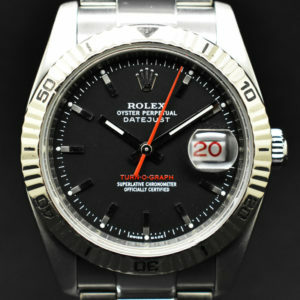 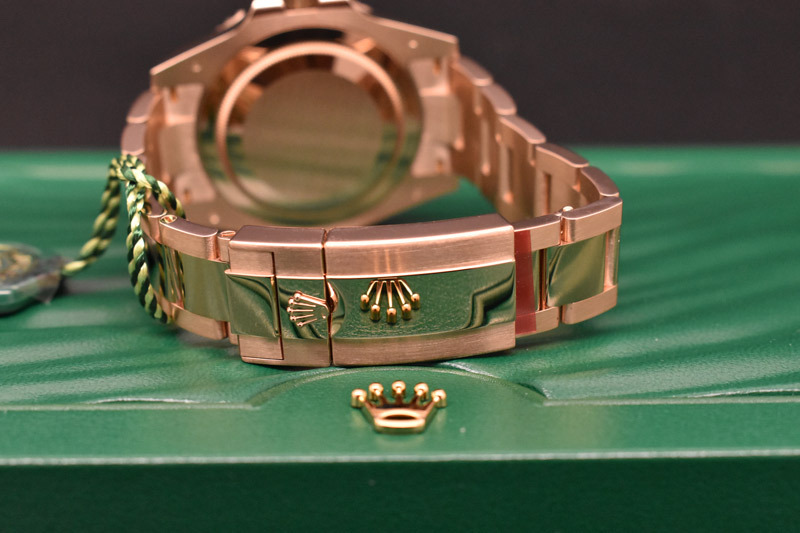 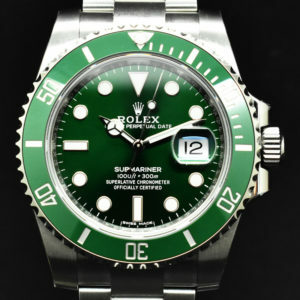 Automatic movement Rolex COSC. 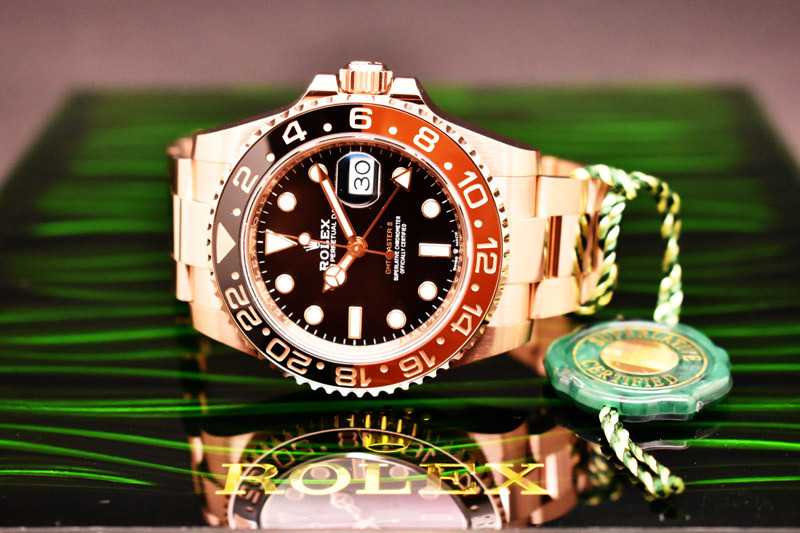 Year 2019, brand new. Complete with boxes and documentation. With 5 years of official / international guarantee.